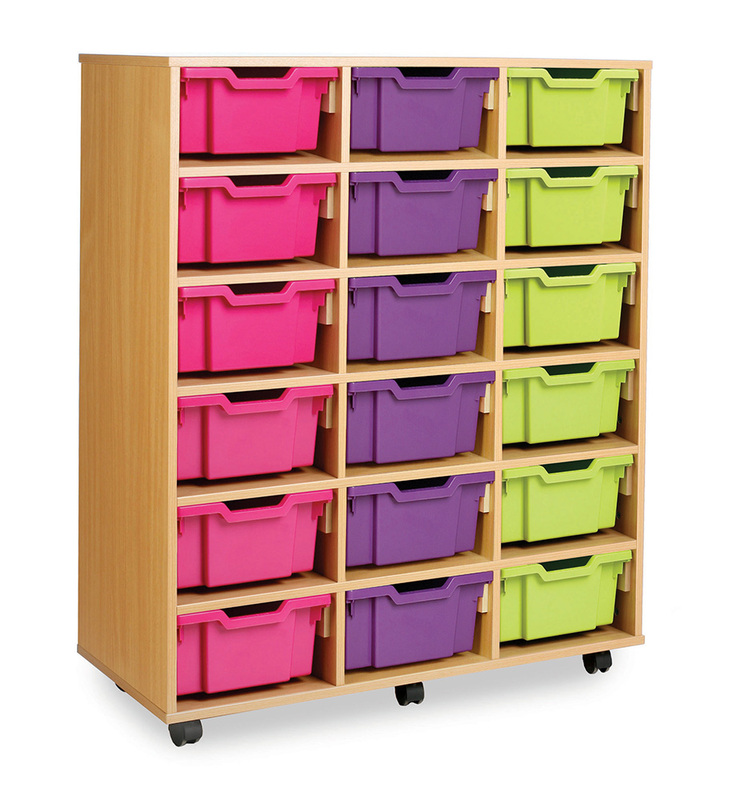 The combination tray storage unit allows you to have either 36 shallow trays, 18 deep trays or a mixture of 12 shallow and 12 deep trays giving you the flexibility you need to suit the individual classroom storage needs. The unit is supplied with castor feet for easy mobility when required so you can choose to have it mobile or static. Constructed from 18mm MFC in a modern beech finish. 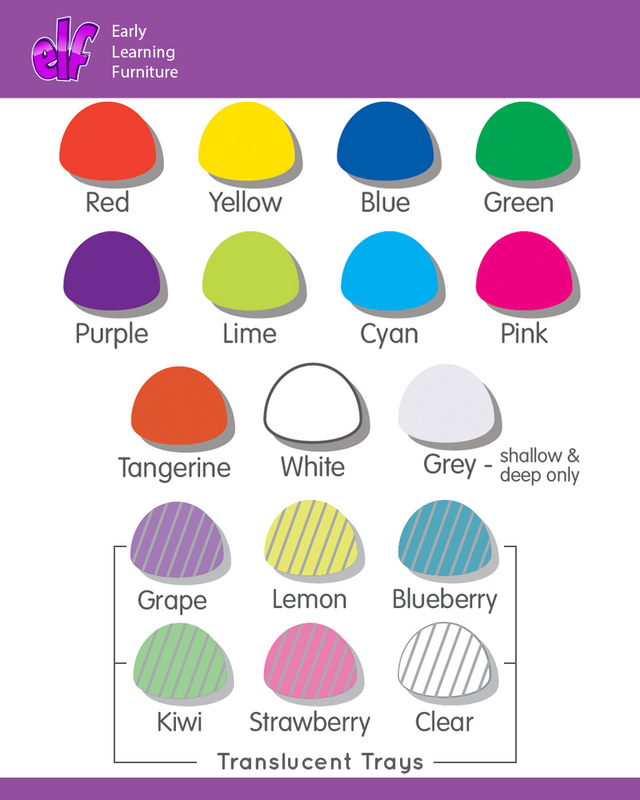 Trays are available in 16 eye catching tray colours. Suitable for storing your everyday classroom materials, toys and supplies.